If you haven’t been to one of the Washington County Works lectures you should feel a bit sheepish. I know I do. Even though I’m unemployed, I’ve managed to remain pretty busy. I’ve been working on this blog, of course, but filling out job applications is time-consuming and emotionally draining. I’ve also traveled briefly, put on my first photography exhibit, hosted family, helped prepare for the Big Brothers Big Sisters Trivia Night (coming Nov. 18) and planned my two charity hikes happening on Thursday and Saturday of this week. It’s been busy, but that’s no excuse. Bobbi Wan-kier and the folks from the Silver Reef Foundation have put together a fantastic lecture series associated with the current exhibit from the Smithsonian Institution, which is on display right now at the Silver Reef Museum in Leeds (the Silver Reef section of Leeds, obviously). Yes, it’s that Smithsonian. You know THE museum in the United States. Part of the deal is that local museums hosting this exhibit also organize sister exhibits. Another aspect is this lecture series, which has been a who’s who of Washington County. The lecture series began in August and has included local luminaries like Terri Kane (Dixie Regional Medical Center CEO), Doug Alder (former president of Dixie State College of Utah), Jon Pike (mayor of St. George), Lyman Hafen (writer extraordinaire), Royden Card (painter extraordinaire) and many more. These are heavy hitters. And many of us have been missing out. But the lecture series isn’t over yet. Coming up this Saturday, Oct. 21, is a presentation by historian Leo Lyman on historical transportation networks in the county. Titled “Stagecoach and Wagon Transportation through Washington County 1865-1875,” the lecture tells the story of teamsters who dealt with everything from robbers to rough weather. The lecture begins at 10 a.m. Saturday at the Electric Theater, 68 E. Tabernacle St. in St. George. Do you like guns? If not, do you at least like westerns? Well, historian Gary Dixon knows a lot about the type of guns used in westerns and, obviously, the guns actually used in the real Wild West. Titled “Guns of the 1870s,” this lecture begins at 7 p.m. Thursday, Oct. 26, at Leeds Town Hall (a building once located in the real Wild West town of Silver Reef), 218 N. Main St., Leeds. Then it’s time for Ghost Nights in Silver Reef. Instead of just hearing historical lectures, you get a chance to walk around an actual ghost town at night while “ghosts” of the Silver Reef business owners tell you their stories. 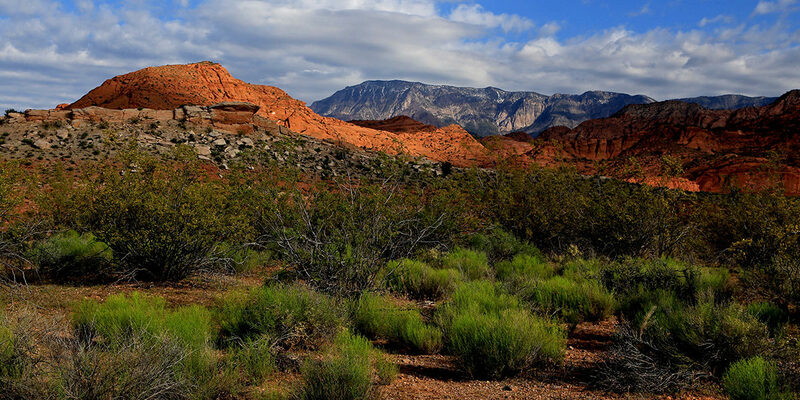 This living history event features 11 different Silver Reef sites. Unlike the lectures, there is a fee for this event at $7 per person in advance or $9 on site. The tours are held from 7-9 p.m. on Friday and Saturday, Oct. 27 and 28. Visit SilverReef.org. And, finally, Dr. Doug Alder will moderate a panel discussion with three fellow historians about “How History Shapes Today” at 10 a.m. Saturday, Nov. 4, at the Electric Theater, 68 E. Tabernacle St., St. George. Additionally, there are all the exhibits, from the big Smithsonian exhibit, “The Way We Worked,” to the local “Washington County Works” sister exhibits. The Smithsonian show is at the Silver Reef Museum, which also has a new mine exhibit in the basement. It’s located at 1903 Wells Fargo Road, Leeds. The other exhibits can be found across the county, from the St. George Children’s Museum to the Dinosaur Discovery Site. You can find out more information at SouthernUtahArts.org, SilverReef.org or ArtsToZion.org. It’s not every day that the Smithsonian comes to Southern Utah and it’s not every day that Southern Utah rallies to supplement a national exhibit with its own history. Let’s get out there and take advantage of all this hard work.